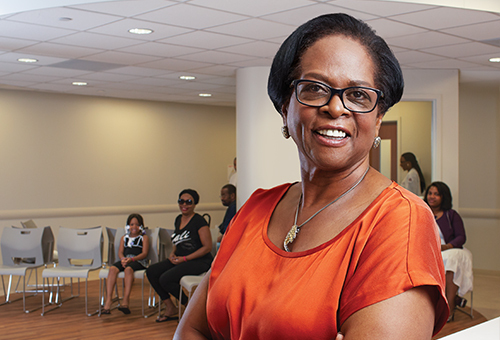 For the past 50 years, Spectrum Health Services, Inc. has been improving the health status of our patients and of the residents living in the Philadelphia communities through an organized, comprehensive program of primary care delivery, health education and health-related social services regardless of their ability to pay. We are a 501(c)(3) non-profit organization established in 1967 as Better Family Planning but now comprised of three Federally Qualified Health Centers conveniently located in West, North and South Philadelphia. We offers fully accredited adult health, pediatric care, gynecology, obstetrics, prenatal medicine, dentistry, and ancillary services such as intensive case management, behavioral health, nutrition counseling, HIV/AIDS outreach, diabetic education, and laboratory services. We are recognized by the National Committee for Quality Assurance (NCQA) as a Level-3 Patient-Centered Medical Home (PCMH). The Spectrum story exemplifies the benefits of collaboration and partnerships. One of our very valued partnerships is the one we share with The Philadelphia Industrial Development Corporation (PIDC). This partnership was extremely beneficial in the construction of Spectrum’s new headquarters in the heart of West Philadelphia. Spectrum was able to metamorphosize from a 10,000 sq. ft. storefront to a 36,000 sq. ft. state-of-the-art Silver LEED certified facility. Construction of the new facility included approximately $14 million in financing, led by a $2 million grant from the City’s Brownfields Economic Development Initiative (BEDI), a $1.7 million Redevelopment Assistance Capital Program grant from the Commonwealth of Pennsylvania and additional loans of $2.4 million, administered through PIDC. The generous support of PIDC and other funding partners will ensure that others are able tell similar stories for another 60 years.